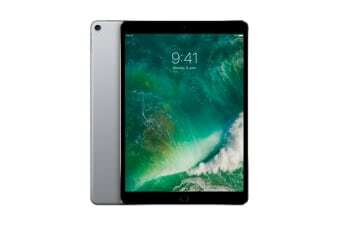 With more power than most standard laptops, the Apple iPad Pro 10.5 will change the way you do things with its innovative iOS software. Take modern computing to the next level with the Apple iPad Pro. With the 10.5 inch advanced Retina display, you can feast your eyes on more vibrant and brighter colours with less reflection. The iPad Pro has a refresh rate of 120Hz making it approximately two times more responsive than a standard LCD display, perfect for playing on apps or browsing through the internet. Unlocking your iPad at lightning speed and protect your private data using the Touch ID feature. With the impressive performance of a laptop in just your hands, the A10X Fusion chip makes complicated tasks easy with 30% faster CPU speeds and 40% faster Graphics speeds than the previous model.